Two generous storage spaces below this sturdy Baltic birch bench provide plenty of room for toys, boots or books to be stored. 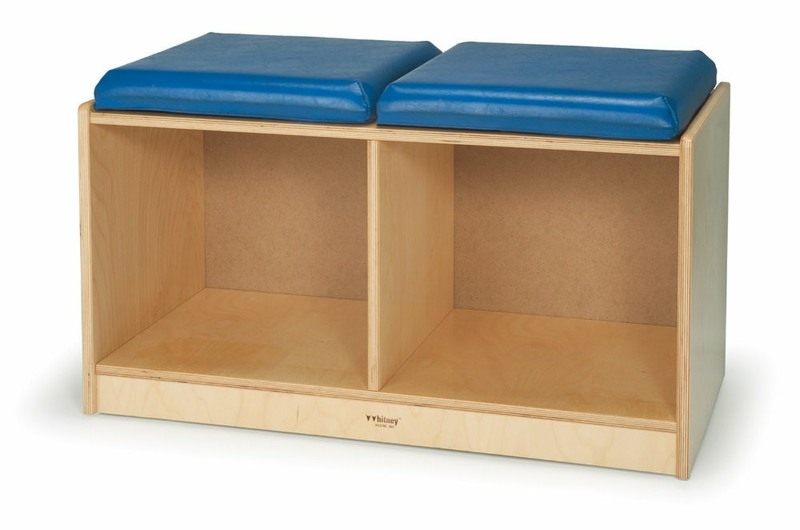 Also features a pair of comfy vinyl covered foam seats on top for relaxing, reading or for changing or removing shoes. GreenGuard certified. Made in USA. Dimensions: 15in. × 30in. × 16in.